a picture of the "projections" of the trees on the screen for videos. i was lucky as hell to perform one more time in this, my favorite building in los angeles, and beyond. it was a beautiful evening to be able to use the modular in such a quiet space, mixing with natural sounds of the locale. includes digital pre-order of Striations (KK031). The moment the album is released you'll get unlimited streaming via the free Bandcamp app, plus a high-quality download in MP3, FLAC and more. CRG Gallery is pleased to present, I’ll Not Be In Your Damn Ledger, an exhibition of paintings by Steven Bindernagel, Tomory Dodge, Pia Fries, Sam Reveles, and Steve Roden. This show is comprised of works that reflect the multifarious engagements—ranging from the systematized to the organic—inherent to abstract painting. While the methodology varies greatly from artist-to-artist, this exhibition insists on a common thread: a discussion between freedom and form, as each artist confronts history, memory, and self. I’ll Not Be In Your Damn Ledger underscores the elemental tension, or play, manifesting materially and figuratively on the painting surface. Every artist in Ledger never fully indulges in one aspect of the process over another. The multidimensional effects of Pia Fries’ playful wood panel paintings are both tactile and conceptual. Often, she blends thick waves of paint with collaged paper and silkscreened elements sampled from 18th Century scientific illustrations, and art historical sources such as the Baroque printmaker Stefano della Bella. These historical fragments serve as the “framework” for her bold, expressive mark-making. All of this occurs atop a stark-white surface. The four framed works in this show are from her Konstellation series, each containing three separate painted panels. Elements of collage reign on the surface of Tomory Dodge’s paintings as well. With Dark Cloud, he layers painting “events” that push and pull—subvert and expose—the underlying pattern that sets the stage. Removing paint is as much a concrete gesture as the thick applications of color Dodge applies to the canvas. Some gestures repeat, like phrases in a sentence, vying for territory on the same field. Impressions from the sky and sea form a latent background of Sam Reveles’ work. He begins his monochrome paintings with an almost automatic drawing process. Lines are woven until a cell-like network forms. He then works back into the painting, filling in cells intuitively, creating a binary effect where a given space is, or is not, filled. Reveles chooses a horizontal support for his paintings, rooting his work as much in the landscape tradition as abstraction. Drawing remains a primary component of Steven Bindernagel’s work. In Salt Mine and Suture he applies sharp lines of paint with a frosting bag, building a palpable surface that is sanded down, reworked, and covered. Geometric forms mingle with fluid, atmospheric mark-making. The titles for these paintings are spontaneous derivations from Bindernagel’s personal history, and contact with the natural world far removed from his studio in New York City—another allusion to the duality he explores in his process. The two works by Steve Roden, lines smote and one for each monk, were created after a one-year hiatus from painting. The paintings reflect Roden’s ongoing experimentation with painting methods and imagery borrowed from personal narratives, architecture, and memory. In each painting Roden builds the image, layer-by-layer, by dragging acrylic paint over the surface with cardboard, and removing masking tape to reveal layers beneath. At first glance, the suggestion of rigging, or latticework, dominate the surface. But the graphic iconography quickly loses its rigidity under closer scrutiny. The thin glazes of color, and edges that bleed, work to diffuse the structural unity initially imposed. Like all the artists in I’ll Not Be In Your Damn Ledger, Roden’s process is an endless transaction between stability and the abyss. Steve Roden, Lucky Dragons, and Simon Leung will present new performances as part of the exhibitionRoutine Pleasures, organized by Michael Ned Holte. Each performance is a response to the site and the context of the exhibition but also a continuation of each artist’s ongoing work. 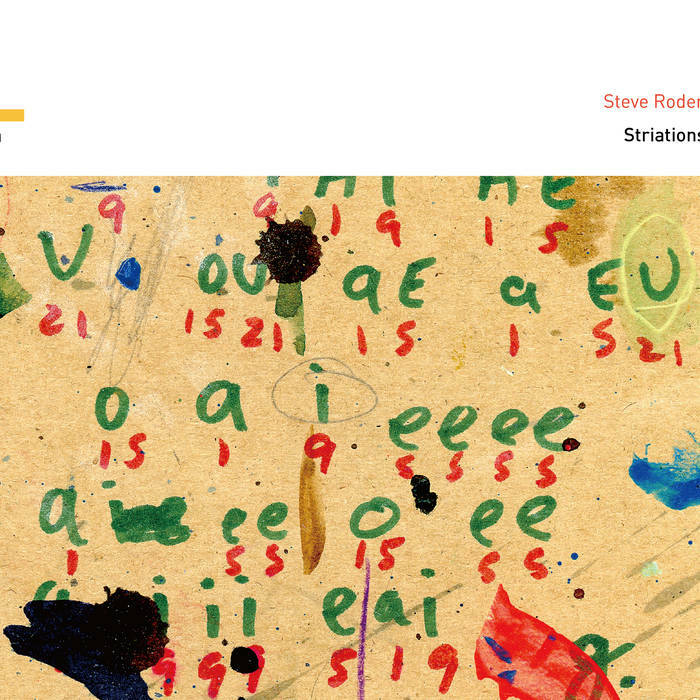 Steve Roden will begin with a sound performance utilizing a grouping of modular synthesizers from his collection. Lucky Dragons will continue their exploration of plural delectation, presenting poems in two voices. Simon Leung will conclude the program with a combination of video and text that extends his ongoing dialogue with Warren Niesłuchowski, the subject of his feature-length video War After War (2011). new cassette... a minute is actually an immense space of time. each side is 10 one minute pieces done with the modular. the title and image is from the film, hour of the wolf from ingmar bergman. 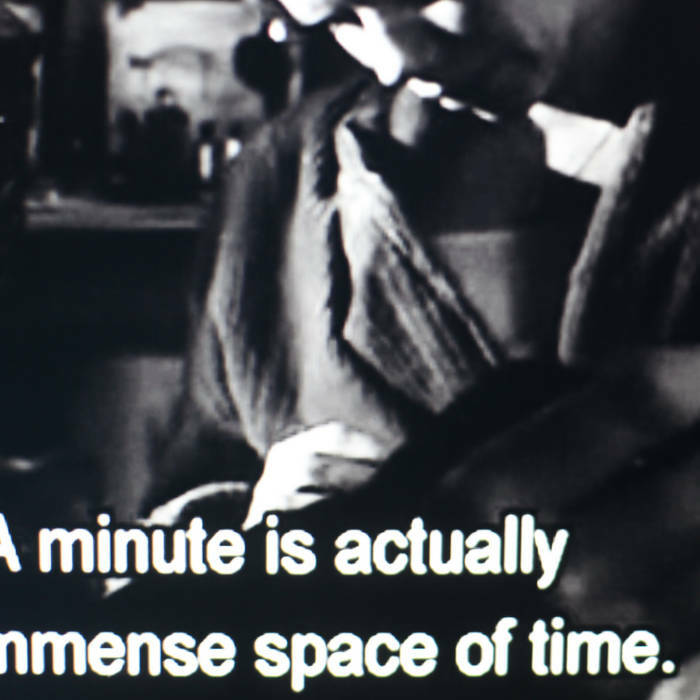 in the film, there is a scene with liv ullman and ingmar bergman are silent for one minute while listening to a ticking clock. beautiful.